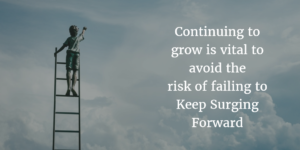 We have all been in a place where we want to quit, but growing is vital in order to avoid the risk of failing to keep “Surging Forward”. We have all heard and even the Bible states to be content. But being content does not mean becoming stagnant. Growth or continuing to improve yourself also does not mean having to be better than everyone else. Around the world many say we are different, but in many ways we are very much the same. We all have a desire to grow. But sometimes we don’t know how to grow or we are fearful of the unknown. Sometimes we don’t know who to trust. Trust is a big factor in growth, but we all fear getting hurt or burned by someone we care about. That goes back to the “Love Connection”. But we need to make a choice to grow. If we don’t make a choice to grow, we can become like standing water. Standing water becomes stagnant. It starts to smell. Mosquito larvae and bad stuff begin to breed. This can happen to us. If we don’t grow, we start becoming resentful to those around us when they are doing well. We start becoming angry and jealous of their success. Rivers become fresh as they flow; they filter out all the bad stuff. “Life Happens”. Bad stuff happens in life. But growth gets us out of the stagnant waters; it acts like a filter. 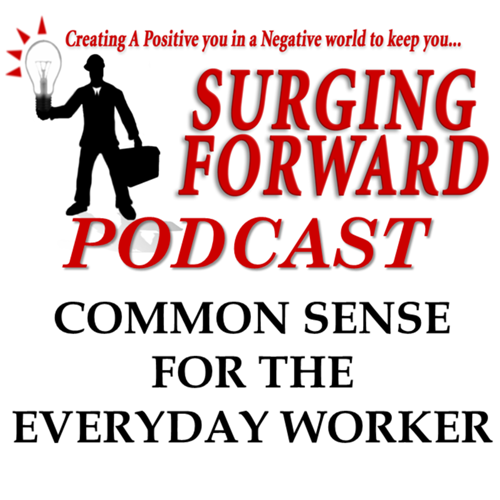 We can break out of the stagnant water by listening to positive messages on Podcasts and by teaching someone else how to listen to a positive message. As we listen we grow and move forward. We start becoming a river that is happy for other’s success. As we grow, life has value again and we want to help others grow. 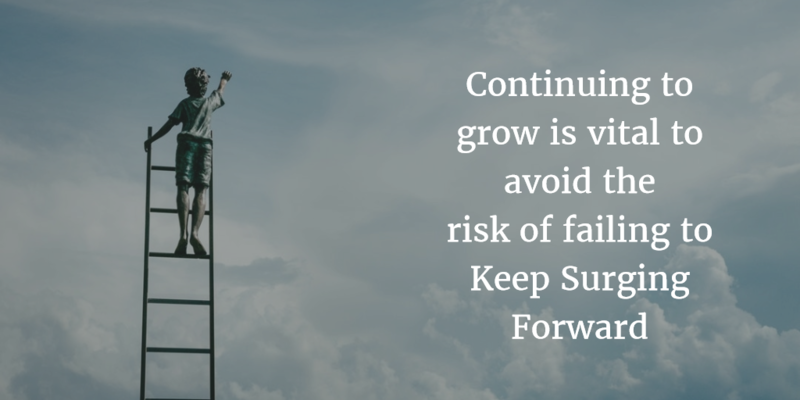 Sometimes it takes time, but continuing to grow is vital to avoid the risk of failing to keep “Surging Forward”.